Helicopter tours of Niagara Falls! Niagara’s Premier helicopter flight over Niagara Falls ! 3 miles/4.8 kilometers from the Falls. View the Falls from the air ! 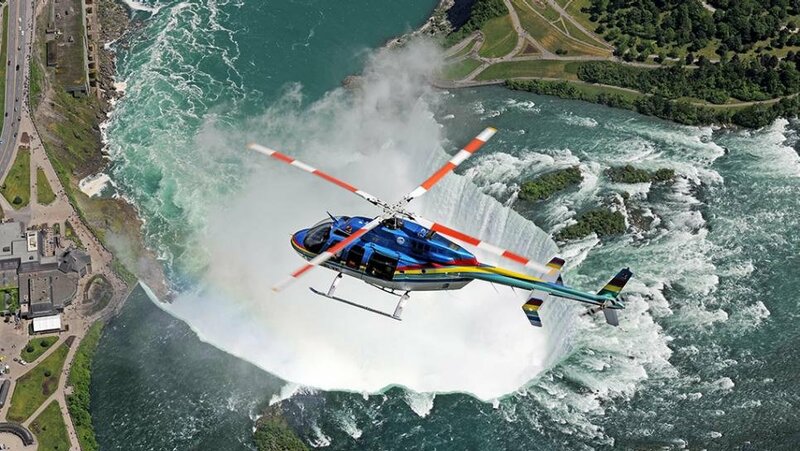 Niagara Helicopter Rides offers an exciting tour from the air from one of their 6-passenger Bell 407’s. Flights daily 9:00 A.M. until Sunset. Weather permitting ! click here for a great discount coupon ! For more information visit Niagara Helicopters Ltd.